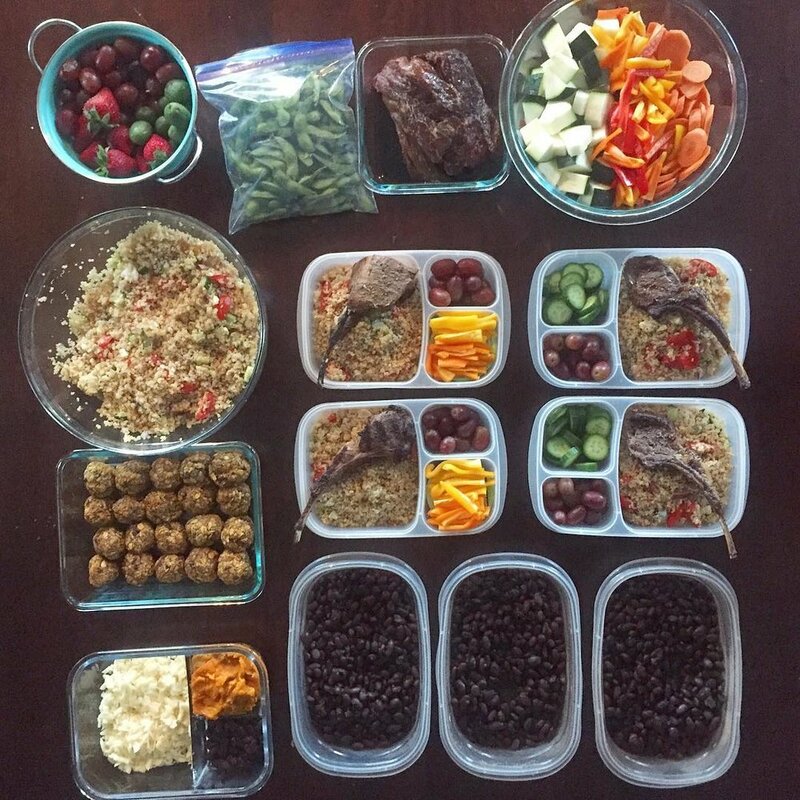 Welcome to another week of meal plans! Each week I will continue to refine these sections to make them more user-friendly and action-oriented. If you want them in your inbox, be sure you are signed up for my newsletter or do so here. 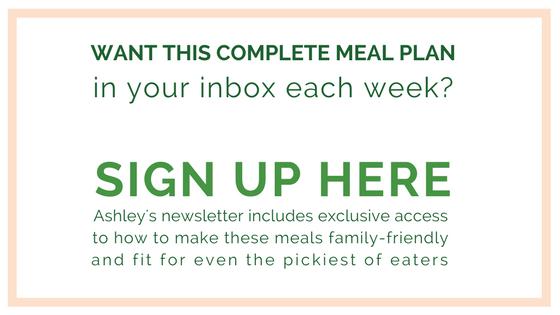 Subscribing means you will get this exact meal plan every Friday morning PLUS include all the #loveitlikeitlearningit sides (and associated recipes or products) that I am serving to make these extra family-friendly. I would love to cook a legit meal every night of the week. But one thing I try to keep a close eye on is how complicated each night's recipes are. Depending on the week, I may rotate through anywhere from 1-5 "recipes" without tops of 3-4 of them being what I would considered more "complicated." Off-setting those that require a bit more effort with those done in the slow cooker or that keep is simple (like quesadillas or breakfast for dinner! 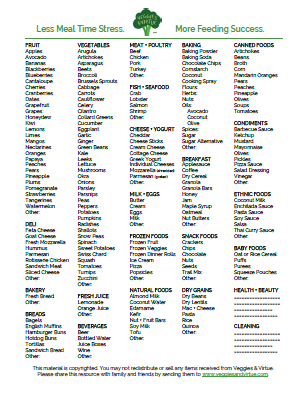 ), help me to not burn out on making too many "effort-filled" recipes each week. I honestly don't know when nor why it started by sometime around six months ago, my oldest got hooked on eating meat on a bone. "Chicken bones (legs)," "lamb bones (chops)," or "turkey bones (legs)" at Thanksgiving have been a new love it food for her that have hugely helped expand the items she enjoys at meal times. I never would have known this if we didn't just keep exposing her to different forms of the foods we eat. It can be so easy as a parent to write off "my kid won't eat meat" or "my child refuses all chicken except chicken nuggets" when in reality it is either a phase or the form they are used to eating meat as. I was raised eating chicken breast. But as I discovered the tenderness of chicken thighs to be so much more kid-friendly, we now buy and make chicken thighs much more often. Food chaining from this when we ate a rotisserie chicken and our oldest also wanted the leg, and you can see how the food acceptance can begin to trickle from one form of food to another. Amidst all of this though, make it fun and inviting. My husband is so light-hearted and playful that the girls love when "daddy eats like a dinosaur." I don't know if that is what made food "on the bone" so much better all of a sudden, but this no-pressure environment, repeated exposure, and playful approach all seemed to work together to expand our oldest's "love it list" in a way we are big fans of. Speaking of seafood, one of the food items I get asked the most about is the smoked salmon we buy. It was one of the first seafood products my daughter enjoyed as a “love it food.” We have tried several and this original honey smoked salmon is definitely the one our girls willingly down the most! Honey Smoked Salmon is more cost-effective than shipping fresh smoke salmon from Seattle, although I do love the quality and freshness of Vital Choice (affiliate link). It also is a much healthier way to pack in healthy fats and protein than other processed lunch meats that have more added sodium and often nitrites (which are to be avoided as much as possible, according to the American Institute for Cancer Research). Have you ever thought to offer smoked salmon to your kids? Making a big batch of quinoa salad can usually last at least 3 days (as long as it isn't heavily dressed), so this is one of my favorite items to make ahead and have for at least one night's dinners plus in our lunches. For meats, I tend to thaw enough proteins for the first few days of the week so they are ready to cook the night of. If marinating, I would wait to add any marinade until 12-24 hours in advance of it being cooked. If we are cooking extra of any protein (like the lamb chops here), I go ahead and cook them so they are ready to eat in lunches or as leftovers. Cutting veggies can be done in advance also, but note that soft vegetables like cucumbers, tomatoes, and bell peppers will go bad once more quickly once cut (so eat them up sooner than hard vegetables like carrots, broccoli, or cauliflower). As with fruits and vegetables, be sure to let them completely air dry before putting any lid or seal on the container they are stored in. This will help them from getting mushy. I often leave fresh fruit in an open bowl or a colander after cleaning it to help preserve how long it lasts in the fridge. Then, as we eat up the more highly perishable produce at the beginning of the week, I offer more stable fruits towards the end of the week (like apples and satsumas). Learning which produce spoils more quickly can help you to adjust what ingredients you should eat earlier on in the week or closer to whenever you prepped them.